Cardboard template used to draw line on ball. I made a cardboard template with a hole cut slightly smaller than the diameter of a standard ball. 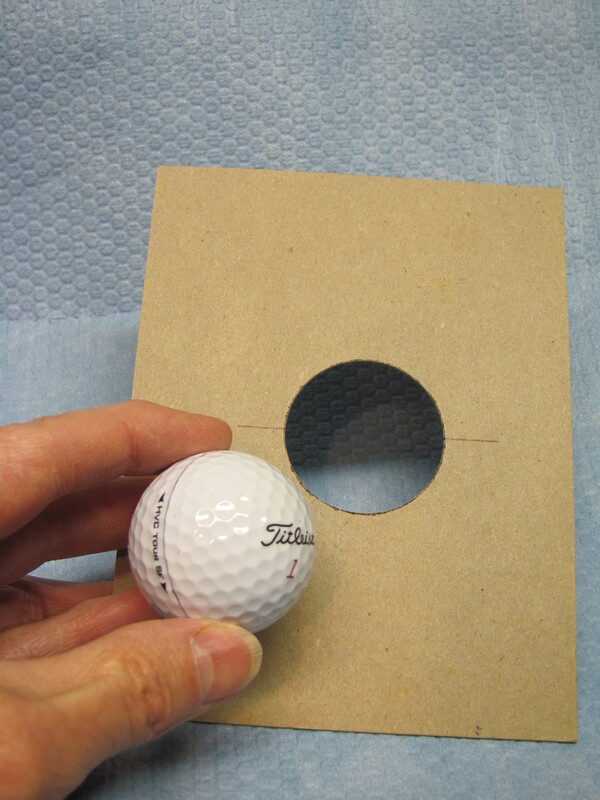 I position the ball in the hole so there is just a slight bit more cover on one side of the cardboard. 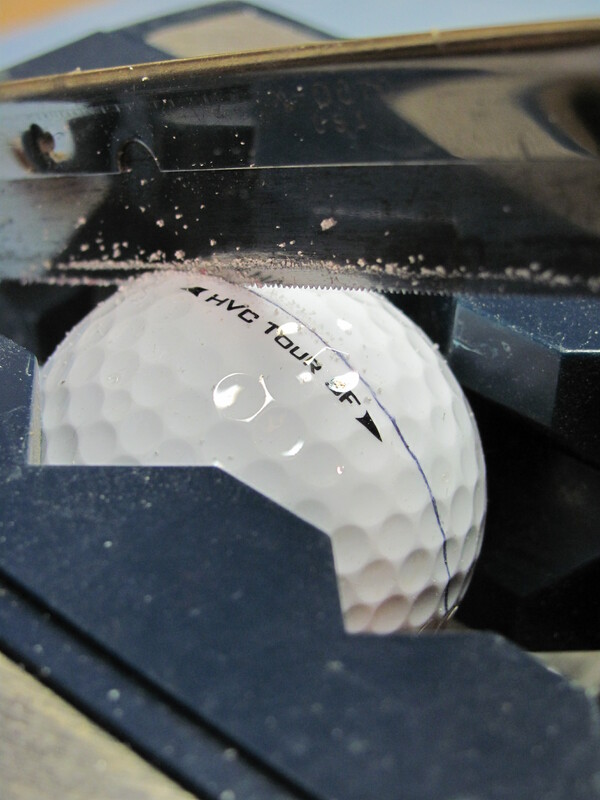 I use a ballpoint pen to mark the ball tracing the template. I clamp the ball in a vise having a jaw used for holding pipe or bicycle frames. I cut along the line with an Xacto saw. Forty-two teeth per inch. Sawing on the line while ball is in the vise. After the line has been cut, I use small screwdrivers to remove the cover. 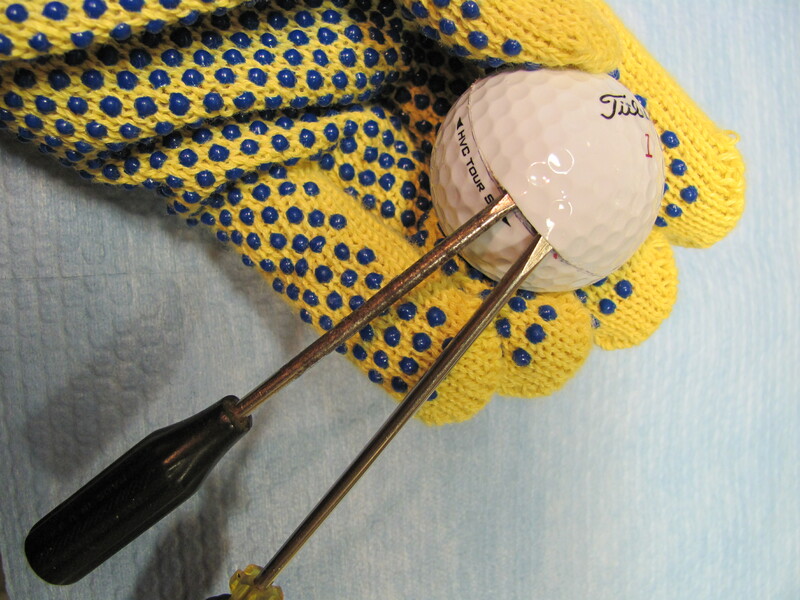 It is very important that you wear a glove to hold the ball while you work with the screwdrivers. I force one screwdriver into the cut and under the smaller side of the cover. That allows room to place a second screwdriver next to the first one. 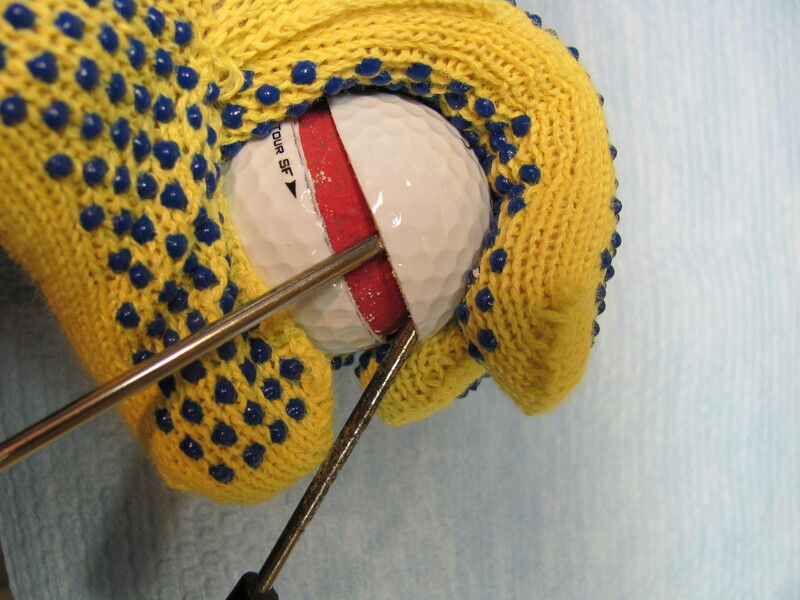 Inserting the second screw driver under the cover. Try to keep the screw drivers perpendicular to the cut to reduce the risk of slipping and stabbing your hand. Remove the first one and insert it on the other side of the second, alternating this way, each one reaches further under, until the cover pops off. I normally keep the loose cover with the ball. Thanks for sharing with other carvers. This type of carving is fun and something different. Bill, Glad I could help. Be careful and carve safely.